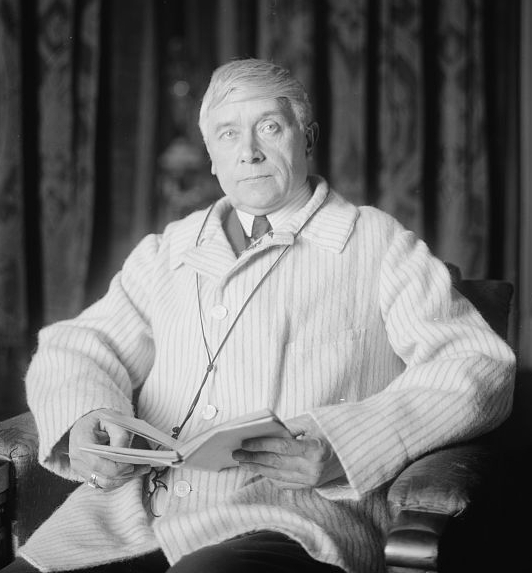 Belgian writer Maurice Maeterlinck (1862-1949). Winner of the Nobel Prize in Literature, 1911. This media file is in the public domain in the United States. This applies to U.S. works where the copyright has expired, often because its first publication occurred prior to January 1, 1923. See this page for further explanation. “But this hidden memory, this cryptomnesia, as the specialists have called it, is only one of the aspects of cryptopsychics, or the hidden psychology of the unconscious. I have no time to recapitulate here all that the scholar, the scientist, the artist, and the mathematician owe to the collaboration of the subconscious. We have all profited more or less by this mysterious collaboration. This subconscious self, this unfamiliar personality, which I have elsewhere called the Unknown Guest, which lives and acts on its own initiative, apart from the conscious life of the brain, represents not only our entire past life, which its memory crystallizes as part of an integral whole; it also has a presentiment of our future, which it often discerns and reveals; for truthful predictions on the part of certain specially endowed "sensitives" or somnambulistic subjects, in respect of personal details, are so plentiful that it is hardly possible any longer to deny the existence of this prophetic faculty. In time accordingly the subconscious self enormously overflows our small conscious ego, which dwells on the narrow table-land of the present; in space likewise it overflows it in a no less astonishing degree. Crossing the oceans and the mountains, covering hundreds of miles in a second, it warns us of the death or the misfortune which has befallen or is threatening a friend or relative at the other side of the world. As to this point, there is no longer the slightest doubt; and, owing to the verification of thousands of such instances, we need no longer make the reservations which have just been made in respect of predictions of the future. This unknown and probably colossal guest though we need not measure him today, having only to verify his existence is, for the rest, much less a new personality than a personality which has been forgotten since the recrudescence of our positive sciences. --Maurice Maeterlinck, The Great Secret, 1922, pp. 237-239.